This gorgeous breastfeeding graduation photo is going viral. The graduation photo that had us grinning from ear to ear. Jacci Sharkey’s graduation photo is not like other graduation photos. 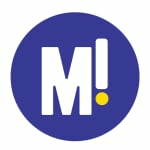 In it, the grinning 24-year-old mother of two is dressed in her formal academic gown and mortarboard — and she’s gazing down lovingly at her beautiful baby as she breastfeeds him. 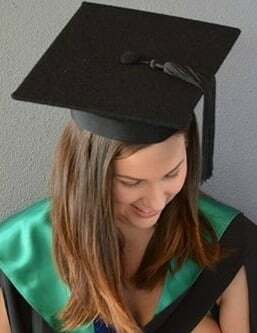 The photo was posted to Facebook by The University of the Sunshine Coast along with a thank-you message Ms Sharkey sent after her recent graduation from a Bachelor in Business, HR Management and Marketing, according to her LinkedIn profile. The gorgeous photo has been Liked more than 66,000 times and shared more than 1800 times — a mass show of support by which, Ms Sharkey told The Courier Mail, she was pleasantly surprised. “I didn’t realise it would get so much attention,” she said. “I don’t think [breastfeeding] is something to be hidden,” she said. “You don’t have to cover yourself, your baby is having a feed … it’s not like you eat your food with a blanket over your head. Jacci Sharkey, we salute you. And we hereby grant you: an honorary degree in kick-arse parental multitasking. On a goodwill trip to Sierra Leone, Salma Hayek famously breastfed a week-old infant whose mother was too malnourished to produce milk herself. iVillage reader Kate Hegarty breastfeeding her then 11 month old son in Penang, Malaysia. iVillage reader Jane being breastfed by her dear Mum at just a few weeks old in 1969.